Carcross, YT, Canada is located on the north end of Bennett Lake, at the mouth of the Natasaheenie River, in the Southern Lakes region of the Yukon Territory, Canada. The Klondike Gold Rush community is a year round recreation destination and vacation spot surrounded by wilderness lakes, mountains and wildlife. Top things to do, attractions, adventures and activities enjoyed in Carcross, Yukon Territories, Canada are fishing, canoeing, boating, horseback riding, mountain biking, hiking, hunting, backpacking, kayaking, sandboarding, birdwatching, off roading, dog sledding, snowmobiling, cross country skiing and ice fishing. The best activity and adventure destinations located in Carcross, Yukon Territories are Kookatsoon Lake, July Mountain, Carcross Footbridge, Mount Gray, Mount Lorne, Montana Mountain, Tagish Lake, Marsh Lake, Nares Lake, Tutshi Lake, Bennett Lake, Chilkoot Trail, Carcross Desert, Emerald Lake Lookout, Bove Island Lookout, and Nares Mountain. What are the Accommodations, Services and Amenities in Carcross, YT? 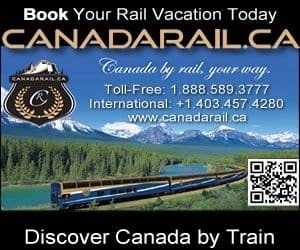 Important services and amenities for travelers when exploring in and around Carcross, YT, Canada are accommodations (motels, inns, bed and breakfasts (B&Bs), vacation homes), campground, general store, tours, guides, attractions, restaurants, ATM, gas station, gift stores, and internet service. The best places for travellers to enjoy history and culture in Carcross, Yukon Territories, Canada is at the White Pass & Yukon Route Railway Station, Historic Post Office, Art House Carcross and the Robinson Roadhouse Historical Site. How To Get To Carcross Yukon Territories? Vehicle: The main highway in the Yukon Territories which connects to the community of Carcross, YT is Highway #2. Air: The closest international airport is the (YXY) Erik Nielsen Whitehorse International Airport (50 minute drive - 71 kms). Other air transportation to the remote regions of the territory are floatplanes, and bush planes. eh! Plan to Visit Carcross, Yukon today. What Communities are near Carcross, YT, Canada.